This fully welded cart features a lower working surface for larger items that need to be moved around. The handle extends upward to a comfortable ushing height and also acts as a member to help keep product on the cart. 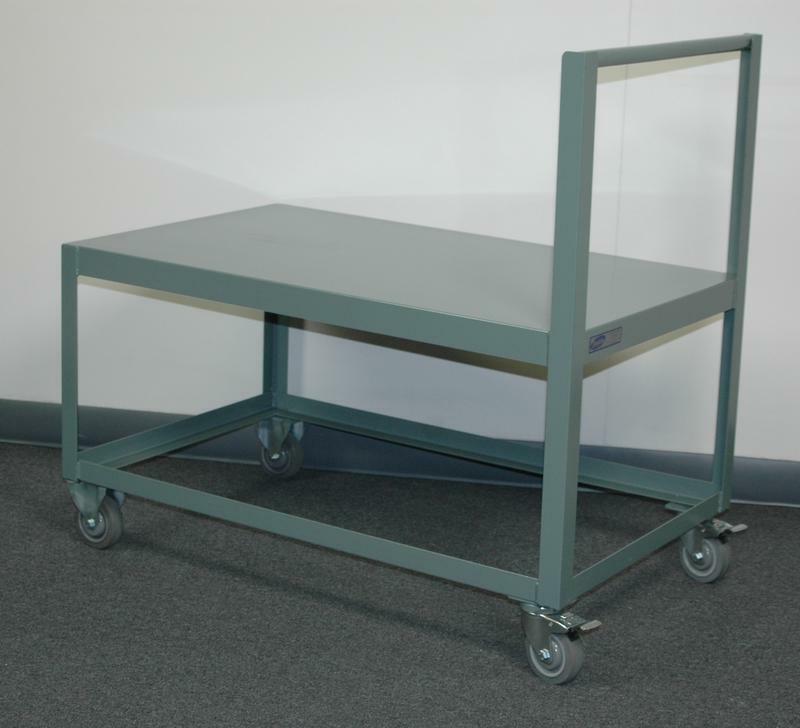 Swivel and rigid locking casters are included and a bottom shelf is also available if needed.